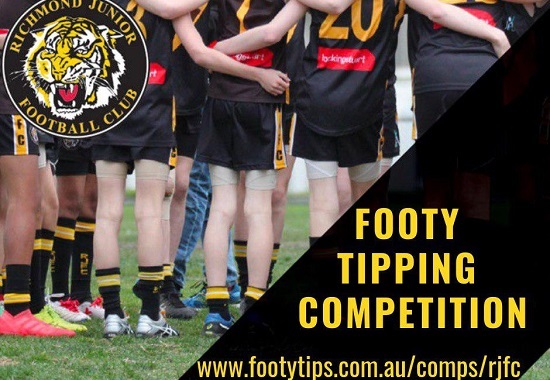 The AFL season starts this week, so why not get involved in our inaugural RJFC footy tipping competition. 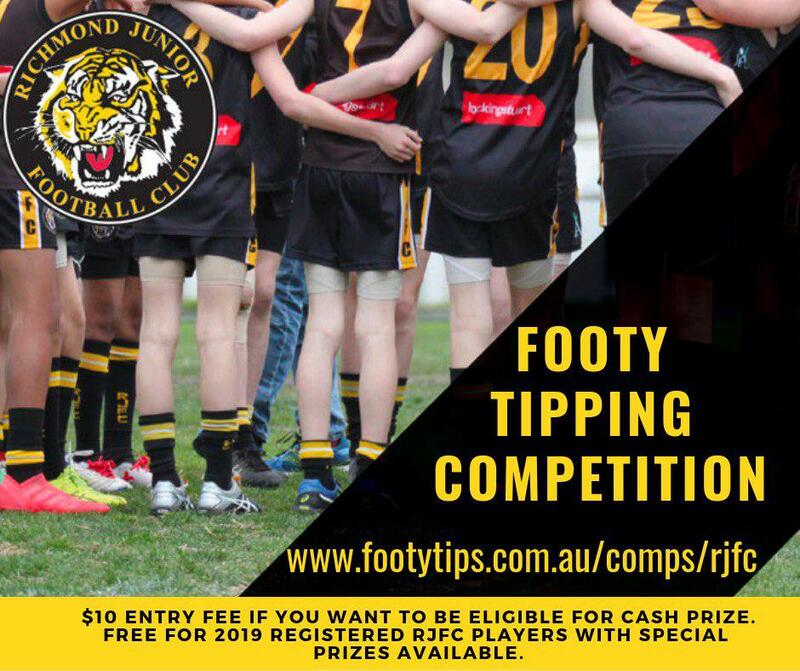 Free to join for all registered RJFC players (some great prizes available) and only $10 to play if anyone else wants to be eligible for cash prizes at the end of the season. Go to footytips.com.au/comps/rjfc to register and get your tips in before the first game starts this Thursday night. Free to enter for RJFC current players, who will be eligible for special prizes.